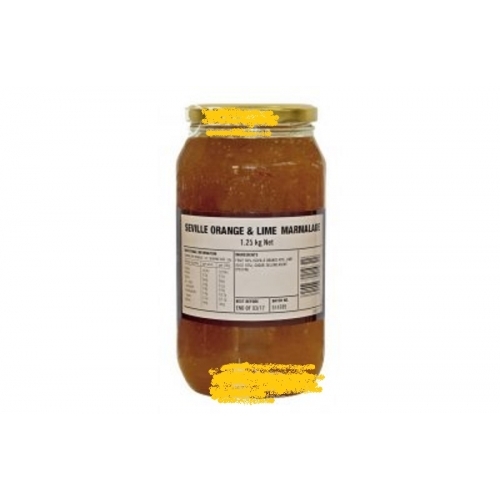 Anathoth Seville Orange & Lime Marmalade 1.25kg. 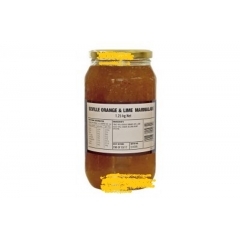 Home > Anathoth Seville Orange & Lime Marmalade 1.25kg. Made from a traditional recipe and packed with real fruit. This marmalade does not contain grapefruit. It all started over 26 years ago on the Anathoth Farm where the jams and pickles were made in simple pots and sold at the local weekend market. The locals loved the big, bold, real fruit flavours and kept coming back for more. So we've kept the traditional jam recipes and the same very simple ingredients. In foodservice, because our customers wanted consistency we have added just a touch of pectin. One of the many strengths of Anathoth Farm is its simplicity and our jam is made the way jam should be - from a simple, traditional recipe packed with real fruit. It's made for people who care about what they eat. The fruit content in most of the jams is 50% just like jam made at home in the kitchen.